The Catherine Cook School Board of Trustees supports the school’s mission through strategic goal setting and direction, fundraising, hiring and managing the Head of School, and creating general school policy. Trustees have an objective commitment to the school through their own support and leadership. They contribute to the school's growth and financial well-being, seek to work voluntarily on a variety of committees, and, through their leadership in the community, bring recognition and honor to the school. 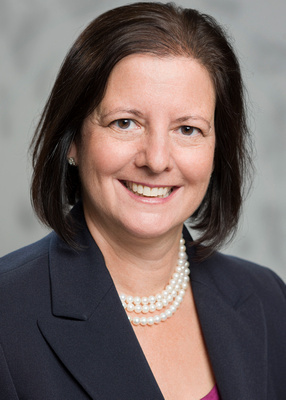 Linda K. Myers is a nationally recognized corporate partner at Kirkland & Ellis LLP. She leads the Firm’s Debt Finance Practice Group and is a member of Kirkland’s 15-attorney Global Management Executive Committee. Linda focuses her practice on debt financing transactions for private equity groups, commercial lending institutions, and major private and public companies. Linda’s clients include Bain Capital, Bristol Myers Squibb, Deere and Company, Hanesbrands, KKR, Madison Dearborn Partners, PSP Investments, Six Flags, United Air Lines, Urban One, Vistra and Zebra Technologies, among others. Linda is consistently recognized as a leading lawyer by numerous industry publications. 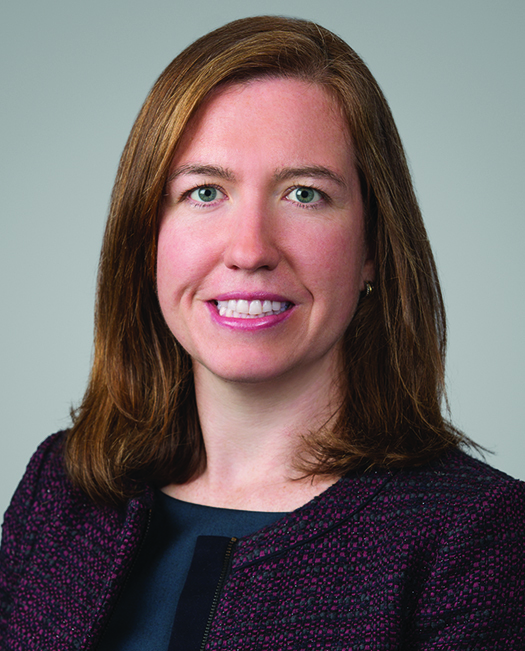 Over the past five years, she has been named by the inaugural IFLR1000 Women Leaders as one of the 300 female lawyers considered to be the best transactional specialists in their markets and practice areas (2018); The American Lawyer as a one of the “Dealmakers of the Year” for her work on Energy Future Holdings Corp.’s Chapter 11 (2014); Crain’s Chicago Business as one of the “Most Powerful Women in Chicago Business” (2018), one of the “Who’s Who in Chicago Business” (2016, 2017), one of the “Most Influential Women Lawyers in Chicago” (2017), and as one of the “20 Most Powerful Women in Chicago Business” (2014); the Women’s Bar Association of Illinois as a “Women of Achievement” (2015); Corporate Counsel as one of their “National Women In Law” honorees in the category of Transformative Leadership (2018); and Who’s Who Legal in the practice area of Banking (2017, 2018). Linda is the President of the Catherine Cook School Board of Trustees and Vice President-Membership for Prentice at Northwestern Memorial Hospital Board of Directors. Linda sits on the boards for the Center for WorkLife Law, The Chicago Network, Chicago Shakespeare Theater, City Year, Lyric Opera of Chicago and St. Ignatius College Prep. She is a member of the Chicago Finance Exchange, The Economic Club of Chicago, American Bar Association Section of Business Law, Illinois and New York State Bar Associations. She is a Fellow of The American Bar Foundation and a member of the Kinzie Capital Partners Advisory Board. Linda earned her J.D. from Georgetown University Law Center and her B.A. in Economics and International Relations from the University of Wisconsin-Madison. Linda's husband, Dennis, is also a partner at Kirkland & Ellis and they have three children, all of whom are Catherine Cook Alumni. Dave Laurenson is the Chief Information Officer of the Finkl Steel Group, responsible for the strategic and tactical planning, coordination, and implementation of technology systems across the group. Dave has held a variety of positions within the organization, including Vice President of Information Technology and Vice President of Operations, and was instrumental in the sale of the business and subsequent design and build of the new steel manufacturing facility in Chicago. Dave sits on the board of directors of several not-for-profit organizations focused on economic and employment development. He holds a B.S. degree in Mechanical Engineering from Marquette University. He currently serves as the Vice Chair of the Catherine Cook School Board of Trustees and is the past Treasurer. He has four children, three of whom are graduates of Catherine Cook and one currently in 4th Grade. Dave lives in Chicago with his wife, Melissa. Penny Fine is a managing director of CIT Asset Management, leading business development for CIT Northbridge Credit. In this role, Penny is responsible for driving the origination efforts for a broad range of flexible asset-based debt solutions focused on middle-market companies. Prior to joining the CIT Northbridge team, Penny held various positions in the lending industry at The Huntington National Bank, JPMorgan Chase, CIT, GE Capital and Heller Financial. Penny started her career at Arthur Andersen in public accounting. She earned her Bachelor of Science in Accounting from the University of Illinois and her Master of Business Administration from the University of Chicago. In addition to her current Board position at Catherine Cook School, she is a member of the Turnaround Management Association, Chicago Finance Exchange, and the American Bankruptcy Institute. Penny lives in Deerfield with her husband, Jay. Ellen Best is the CEO at Eire Direct Marketing, LLC in Chicago’s River North neighborhood. Ellen founded Eire in 1997 and is proud to be a certified Women’s Business Enterprise organization. The team at Eire has the expertise to meet any marketing objective to grow their clients’ businesses – from strategy development and communication planning to customer engagement and implementation – focusing on customer and stakeholder behavior to deliver results. Ellen began her career at Wunderman Worldwide and directed client services for national brands, some of which continue to be clients at Eire today. She is successful at marketing to businesses and consumers for clients like the American Bar Association, American Dental Association, BP North America, ComEd, FleetCor Technologies, The Morton Arboretum, and Nicor Gas. Ellen is an active member and currently the Director of Fund Development for the Women’s Energy Network, supporting STEM education for our Chicago youth. For Catherine Cook, Ellen serves on the Executive Committee of the Board of Trustees, and is a member of the Marketing Committee, responsible for working with the school’s administrative team on branding, admission, and community engagement. She is also co-chair of the Trustee Nominating Committee. Ellen lives in Chicago’s Old Town neighborhood with her husband Greg and son Christopher, who is a proud Alumnus of Catherine Cook. Jeff Zappone is a Partner and Senior Managing Director at Conway MacKenzie, Inc., a consulting and advisory firm in Chicago. He has over twenty-five years of restructuring experience with specific expertise in interim management, including profit and cash flow enhancement and organizational improvements. He has served companies as an advisor, as well as in the role of Chief Executive, Operating, Restructuring and Financial Officer. Mr. Zappone has a Bachelor of Arts in Economics from Westminster College and a Master of Business Administration in Accounting and Finance from the University of Pittsburgh’s Katz Graduate School of Business. He and his wife, Carie, have two children at Catherine Cook School. Marta Delgado is co-founder of Delgado Rompf Bruen LLC, a Chicago-based law firm representing clients in all types of immigration matters, including family applications, employment immigration and compliance, removal proceedings, naturalization, and appeals. Marta has been an attorney for over 20 years and has concentrated her practice in the area of immigration and nationality law for the majority of her career. She received her B.A. from Northwestern University and her law degree from the University of Wisconsin-Madison and has been recognized as a Leading Lawyer by Leading Lawyers, a distinction held by only 5% of Illinois attorneys. Prior to co-founding Delgado Rompf Bruen LLC, Marta spent over 17 years in private practice with Chicago immigration law practices. She also has substantial experience working in not-for-profit agencies, as a former staff attorney for the Mexican American Defense and Educational Fund (MALDEF), and as an attorney for the Midwest Immigrant Rights Center (MIRC, now known as the National Immigrant Justice Center) where she concentrated her practice on citizenship and naturalization issues and providing comprehensive trainings to various community-based organizations throughout the Chicagoland area. Marta is a member of the Mujeres Latinas En Accion Board of Directors, has been appointed to serve as a Member of the International and Immigration Law Section Council of the Illinois State Bar Association, and has served as chair or co-chair of several liaison committees for the Chicago Chapter of the American Immigration Lawyers Association. She lives in Chicago with her husband, Sam, and their three children, two of whom are currently enrolled at Catherine Cook School. Since joining Catherine Cook, Marta has been involved in various school activities, including being an active member of the Diversity Committee, co-chairing the Live Auction for the 2014 Annual Gala, and serving as a member and co-chair of Catherine Cook’s Annual Giving Cabinet. Flavio Arana is Founding Partner of Meridian Psychiatric Partners, LLC, a multidisciplinary mental health private practice group with offices in Chicago, Evanston, and Lake Forest. He earned his medical degree from the University of Wisconsin School of Medicine and Public Health and completed his psychiatry residency at Northwestern University Feinberg School of Medicine, where he also served as Chief Resident. Flavio specializes in perinatal psychiatry, the care of women with mental health issues before, during, and after pregnancy. Flavio has been a member of the Annual Giving Campaign Cabinet and served as co-chair from 2015-2017. He has been an active member on the Diversity Committee and also served as a Room Parent. Flavio and his partner, Matthew, live in Lakeview with their two sons, both students at Catherine Cook. Julie Campbell balances two careers, both based in Chicago. She is a Senior Consultant at Latz & Company, specializing in strategic planning and fundraising for non-profits. She is also co-owner of Shane Campbell Gallery, which she began with her husband in their home in 2001. Now with two locations, the gallery represents 26 innovative American contemporary artists. Julie earned her B.A. in Art and Art History at Kalamazoo College, Michigan. She also received a Masters in Art Administration from The School of the Art Institute of Chicago. In addition to her current Board position at Catherine Cook, she serves on the Board of the New Art Dealers Alliance (NADA), as well as on the Near South Planning Board (NSPB) of Chicago. Julie lives in the South Loop with her husband Shane, their two sons, and their beloved Bassett Hound named Ruby. Tom Doar III retired in July 2016 after working for over 40 years in independent schools. Tom's last position was at North Shore Country Day School, were he served as Head of School from 2000-2016. Prior to that, Tom held various other positions at North Shore, including Head of Lower School (JK-5), Director of Admissions (JK-12), Director of Development, math teacher, and coach. In addition to his 27 years of service at North Shore, Tom served as the Head of the Lower School (PK-8) at Rye Country Day in Rye, NY, from 1989 -1996 and as a teacher and coach at St. Paul Academy in St. Paul, MN, from 1973-1980. Tom has a B.E.S. (Bachelor of Elective Studies) from the University of Minnesota, an M.A. in Elementary Administration from the University of St. Thomas, and an Ed.M. from Teachers' College at Columbia University. Tom and his wife, Sheila, have three children and five grandchildren. All three of Tom's children are independent school graduates and have experience teaching. Tom's oldest son, Tom, spent two years at Teach for America in Newark, NJ. Charlie is currently an English teacher, College Counselor, and coach at Belmont Hill School in Boston, and his daughter, Mullery, is currently the Associate Director of Admission, a teacher, and coach at North Shore Country Day School. Tom Fuller is a Partner at Fuller & Thaler Asset Management, a boutique money management firm based in the San Francisco Bay Area. Tom is responsible for client service and new business development and has been with the firm since 2005. Prior to joining F&T, he was Director of Research at Undiscovered Managers, a mutual-fund company that served financial advisors. He also previously worked as a reporter for the Seattle Times. Tom received an MBA from the University of Chicago and a BA from the University of Washington, where he met his wife, Julie, a past President of the Catherine Cook Parent Association. Tom and Julie live on the Northside and have two children - a son who graduated from Catherine Cook and a daughter currently attending. As President of Managed Services, Jordan has global responsibility for C.H. Robinson’s logistics management and technology services. After joining C.H. Robinson through an acquisition, Jordan led a team that collaborated with some of the world’s most forward thinking shippers to pioneer C.H. Robinson’s technology and services division digitally connecting shippers to their carriers and supply chain trading partners. Under Jordan’s leadership, this division has grown into a global business managing $3.6B in freight accross 170 different countries. Jordan is a proud alumnus of Indiana University, and has worked at C.H. Robinson for 20+ years. Jordan lives in Buck town with his Wife Stacia and their three children. Two of their children currently attend Catherine Cook and one is a proud graduate. Michelle Kilkenney is a corporate partner at Kirkland & Ellis LLP, who focuses her practice on debt financing transactions. Michelle represents private equity groups, commercial lending institutions and other private and public companies in connection with the negotiation, structuring, and documentation of secured and unsecured financing transactions for both borrowers and lenders, including senior, mezzanine, and subordinated debt transactions, acquisition financings, and loan workouts and restructurings, including debtor-in-possession financings. Michelle serves as a Pro Bono Coordinator in the Firm’s Chicago office. In this role, she assists Kirkland attorneys in pursuing a broad range of pro bono opportunities, with a focus on ensuring that access to adequate legal representation is available to all who need it, not just those who can afford it. As a sought-after speaker, Michelle has given presentations and participated in panels to clients, the LSTA, the ABA and the Women in Law Empowerment Forum. In 2015, Practical Law The Journal published an article authored by Michelle entitled “An Expert’s View: Trends in Large Cap Market Loan Terms”. Michelle has been recognized in the 2010-2017 editions of Chambers USA, America's Leading Lawyers for Business and described as "talented, bright, creative and incredibly hard-working." She has also been recognized by IFLR1000 as a Leading Lawyer in bank lending. In 2017, Michelle was awarded “Transaction of the Year: Mega Company” for her work with Texas Competitive Electric Holdings Company LLC by the Turnaround Management Association. In addition to the Catherine Cook School Board of Trustees, Michelle is actively involved in the boards of Cradles to Crayons and the Chicago Lawyers Committee for Civil Rights. Michelle earned her law degree from The Ohio State University and her B.A. in Politics and Government from Ohio Wesleyan University. Michelle is an active Catherine Cook parent and lives in the Lincoln Square neighborhood with her husband, Ryan. They have three children, including two that attend Catherine Cook. 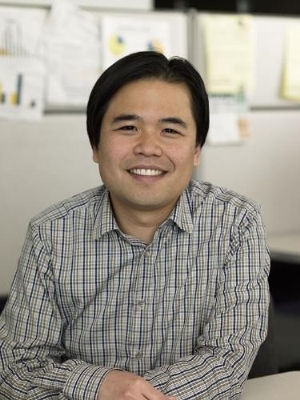 Roger Liew is the CTO of ShopRunner, a membership program providing millions of members with free 2-day shipping from America’s top retailers. Previously, Roger spent 15 years in the travel industry. He served as Chief Technology Officer and Senior Vice President of Orbitz from 2010 until its acquisition by Expedia in 2015. As Orbitz CTO, he led global engineering and customer service. He rejoined Orbitz in 2009 as Group Manager of the Intelligent Marketplace, establishing the machine learning and big data teams. From 2004 – 2008, Roger was a cofounder and CTO of G2 SwitchWorks, a venture-funded travel technology company, that provided the first alternative distribution network for airline tickets. Roger was the first software developer of Orbitz and co-led the development team to 90 software engineers from 2000 to 2004. His early career experience ranged from developing software for cell phones at Motorola to leading the development of the first web presences for Cars.com and Victoria’s Secret while at web consulting company, Neoglyphics. Roger serves as an advisor to kCura, MediaMath and Journera. 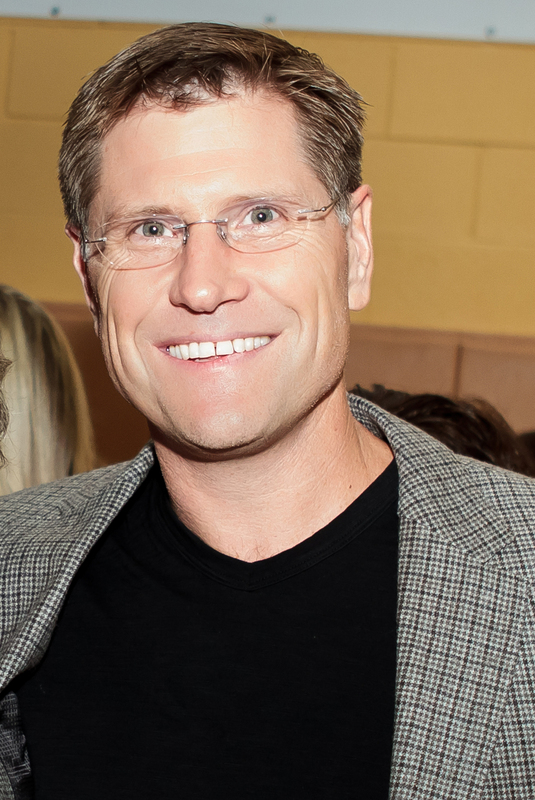 He is a founding member of the Illinois Tech Computer Science Advisory Committee since 2010, a mentor at Impact Engine, and is a Trustee of the Catherine Cook School. Roger studied Mathematics and Computer Science at the University of Chicago. He lives with his wife, Suzie, and two children in Chicago. Lisa Snow is a Managing Director at Duff & Phelps in the Chicago office and part of the Disputes and Investigations practice. She possesses over 20 years of experience providing both expert witness testimony and financial valuation damages analysis in complex litigation and commercial dispute matters. Lisa has led numerous corporate investigations addressing a broad range of accounting and financial inquiries. Lisa serves as an expert in matters in state and federal court as well as in arbitration. Lisa recently served in US District Court, Northern District of Illinois as Receiver of K.I.P., LLC and previously for Central Coast Nutraceuticals. Her industry experience includes financial services, professional services, healthcare, insurance, workers’ compensation, telecommunications services and equipment, and consumer goods. She performs work involving damages analysis, lost profits, forensic accounting analysis, class certification, data analysis, industry and market analysis, revenue and cost analysis, purchase price adjustments, sales history and pricing analysis. Lisa has been involved in many highly publicized and noteworthy cases including the Spamhaus v. e360 matter where she served as the testifying damages expert. In a decision that supported Lisa’s testimony, plaintiffs were awarded $27,000 on a claim for over $120 million. The Seventh Circuit later reduced the award to $3, because, as Lisa testified in the district court, the award was based on lost revenue not lost profits. Lisa serves as a member of the Catherine Cook School Board of Trustees. She also serves on Board of Directors for Women Employed.She sits on the Board of Governors for the Metropolitan Planning Council, having previously served as Treasurer. Lisa is a Chicago Co-Founder for the Women in Law Empowerment Forum (WILEF). Lisa was a Vice-Chair for the Chicago Bar Foundation Investing in Justice Campaign in 2014 and 2015. She is a member of International Women’s Forum of Chicago and The Economic Club of Chicago where she serves on the Membership Committee.Lisa presents annually at the Practicing Law Institute’s Accounting for Lawyers course. Lisa holds a Bachelor of Science degree from the University of Vermont, as well as a Master of Business Administration from the University of Chicago’s Booth School of Business, with concentrations in finance and business strategy.